KAG Food Products’ Gainesville, GA Tank Washers completed Cargill’s Tank Wash Audit with flying colors. Cargill presents the Customer Appreciation and Recognition of Employees (CARE) Awards to recognize and thank transportation providers for their great service. 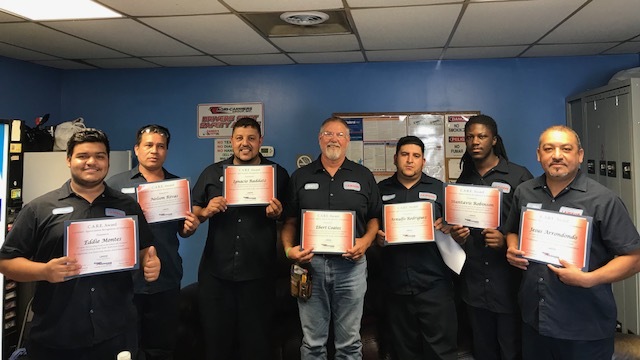 Thank you to (pictured left to right) Eddie Montes, Nelson Rivas, Ignacios Raddatz, Ebert Coates, Arnulfo Rodriguez, Stantavis Robinson and Jesus Arrendondo. We appreciate all you do each and every day!